There are a lot of good reasons not to keep old prescriptions around the house. Anyone that thinks a child can't get in to a "childproof cap" hasn't been around children. The only ones who have trouble getting in are adults. Teens making bad decisions, getting in to your medicine cabinet. So your teen is ok - what about his friends - or the new babysitter? Don't contribute to the opioid crisis. The water is already full of viagra - don't add your meds by flushing drugs down the toilet. And don't throw them in the garbage or compost either. That goes in the ground, the drugs leach into the soil, and it all ends up in the water anyway. 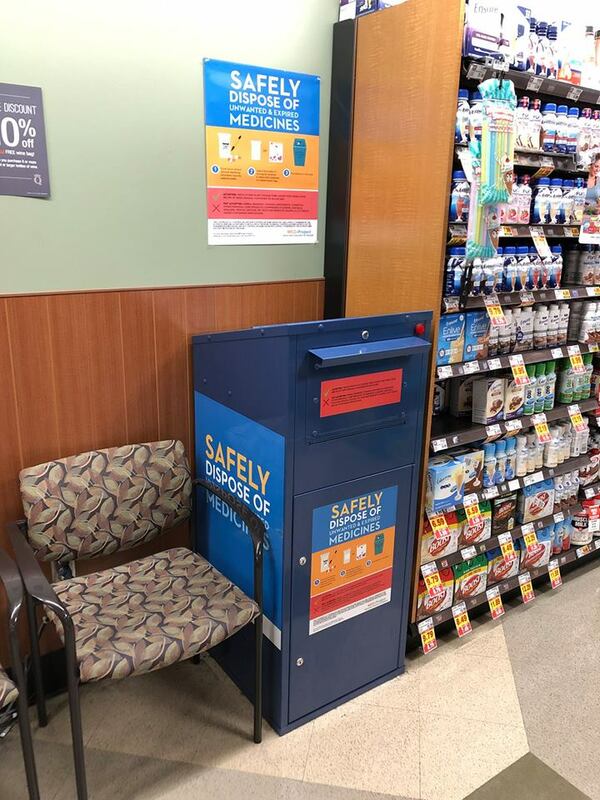 Public Health has made it easier to safely dispose of unused and expired medication – including prescription painkillers – by setting up over 100 Drop Boxes at participating pharmacies and law enforcement agencies throughout the county. "We’ve just launched a program for people to find the nearest drop box. Text the word MEDS to 667-873. You’ll then enter your zip code for the nearest location." This system works so well that I looked everything up for local places. The common theme seems to be QFC Pharmacies, police stations, and some medical offices. The Police Station on 185th is now closed and has been moved by the City Hall. 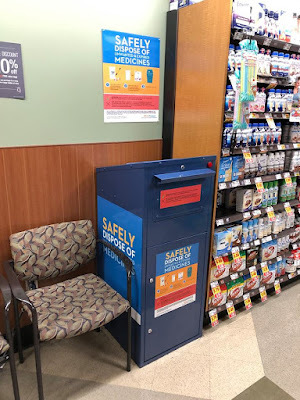 However, from experience, the police station didn't accept medication for disposal.